about a lush green lawn that cannot be denied. 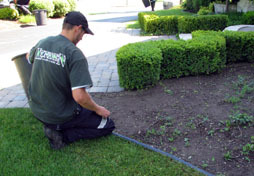 Lynden Lawn Care is dedicated to giving their clients the level of quality and service required to maintain the look that neighbors envy. 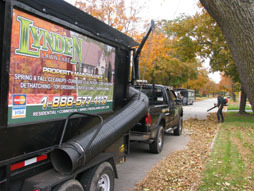 Lynden Lawn Care was built on more then 15 years of combined landscaping experience. Our services are diverse, serving residential, commercial and industrial clients. continuous improvement of our services. We strive to be a leader keeping up with today’s changing technology and landscaping techniques by involving ourselves in the landscaping community, through associations (Landscape Ontario) and equipment manufacturers’ latest products. We provide a safe environment for our employees with weekly safety meetings, procedures manuals and the latest training in equipment handling. We are fully insured with 2 million in liability. Everything is great with the job Lynden Lawn Care did for us. I was not at home for the process but I can tell you that when I arrived home at the end of the day the beds looked fantastic and everything was very neat and tidy. Your crew did a great job and cleaned up really, really well (which I appreciate!!). Jeff and his crew have been servicing our Aldershot home for over 8 years now. Always friendly and reliable service. We have been very happy with the service! Lynden lawn Care © 2014. All rights reserved.